It so hard for Chop Shop to resist pop-culture references. Our best received designs thus far have been our “weRobot” and “rockStar” tees which contain about 80+ pop-icon references just between the two. So when we came across this image by Richard Miske on flickr, it was like the gods sending us a signal. Naturally, if robots ruled the world in 1979 instead of 2020… we believe they still would have been inclined to grab the nearest axe and start smashing. You can get the tshirt now from chopshopstore so that when the robot overlords look you over they will know who’s side you are on. Listen as your robot leader speaks, “Male humans go here and female humans go here”. What makes this design even more referential than usual is that it pays homage to an album cover that pays homage to yet another album cover. 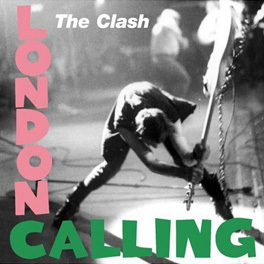 Elvis’ debut album cover is seen above left and The Clash’s epic “London Calling” is to the right. 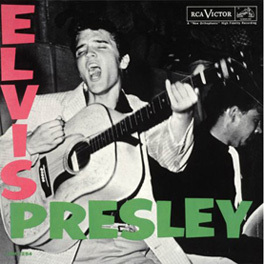 The historic nature of both these records and the fact that there is this visual game shared between the two has led many others to follow the same example hoping just a bit of Elvis and The Clash might rub off on them. Considering some of the titles below… it seems like it just may work. Now to get back to shameless self-promotion. We would be fools to not ask you to join our Chop Shop newsletter. Coupon codes and free tees are given out willfully and with reckless abandon. 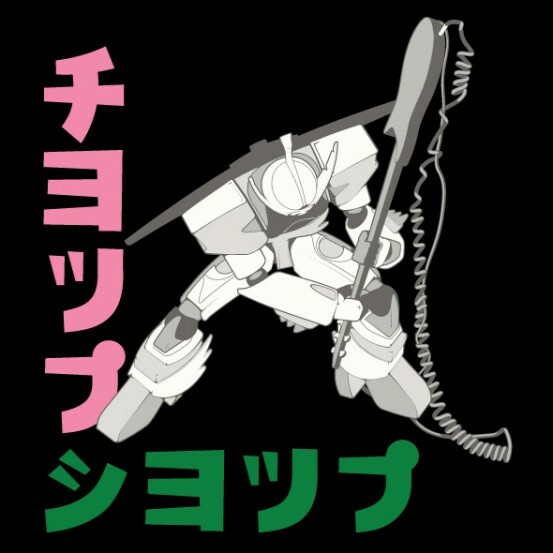 I love this design, but what, if anything, does it say? it kind of says “CHOP SHOP”, but the translation is off a bit as we didn’t want to re-size the middle letters which would be a more accurate translation. with these japanese letters, the scaling of the letters effects their pronunciation. “a more accurate translation” is so completely off base as to show your ignorance of the language. your wording is incorrect. period. the half sized TSU and YO not only affect the pronunciation of words, they affect meaning too. your shirt doesn’t make any sense in japanese. if you don’t believe a guy who has been living in japan for the past decade and studying japanese for the past two decades, then just ask any japanese person. but be fair to yourself and the rest of us, by not cluing them in to what you’ve done first. just show them the shirt and ask them if they understand. Chop Shop = チヨップシヨップ Yeah, I can see where the smaller characters changing ‘yo pu’ to ‘yop pu’ would be disproportionate to the character size… But now any native Japanese speaker will read it as something “chiyotsupu shiyotsupu” … Can they figure it out? You need to have a drink or something. I don’t care what it says as long as the letters are all equally bold and solid. Besides, we are thinking of changing our name to Chiyotsupu Shiyotsupu or at least adopting a mascot that goes by that name. Hey now, calm down, not criticizing, just making conversation… It’s a great shirt. And besides, I already had a couple of drinks, and they’ve just made me more curious. Not you, the guy before you needs to “let go” just a little.